Every time a Chinese school or a Chinese community asks me to give a lecture, I instinctively decline it because I don’t think it’s a Chinese teacher or a linguistics or education expert. It’s just a children’s magazine, which can be given to parents, what does it bring? But now I am determined to write this article because I slowly discover that many families can't train children who can read and write bilingually, not because they lack the guidance of experts; all they need is to cultivate bilingual things. The determination and effective means to do it seriously. The so-called "effective means" does not involve any advanced theory or particularly hard work. After reading a large number of bilingual parenting books, talking with Chinese teachers, experts, and Americans learning Chinese (including American ABC), I summed up the most basic and important 7 tips for everyone. It is a resume of experience and learning outcome that are practical but can greatly improve the language level of children. This is also the "law of parenting" that I have been practicing as the mother of two ABCs. These methods are not only suitable for Chinese families in the English environment, but also for any language training. If you are only planning to do this for bilingual education, then this must be this! Well done, its significance is definitely not only to cultivate a bilingual child; it is of great help to parent-child relationship, child's personality and personality cultivation. Maybe most parents think this is what they are doing, but it is very likely that you have not done it! Children learn a language that is inseparable from two cores: adequate language input (exposure) and the need to use the language. Spoken language in daily life, such as eating and drinking, is not enough for bilingual education. After the child reaches a certain age and begins to have more observation and thinking about life, if he is not able to control a language enough to let him use the language to discuss political, scientific, social and other issues, he will speak this language less and less and understand only a part, but cannot really master (and read and write). This situation is called passive bilingualism. There are a lot of skills of talking. The first thing to be fun is to let the children listen. Studies have shown that the degree of intimacy between parents and children is a major factor in determining the success or failure of bilingual education. In other words, letting children like you, like what you say, is very important for language learning. You are the first window in which he understands China (and of course same for other countries and languages). Be sure to leave him a happy and warm memory in your language. Secondly, it is beneficial to really let the children learn from the conversation with you. Don't avoid using Chinese to discuss various "complex" and "esoteric" problems with children. It is not necessary to constantly switch code or mix your in daily conversations. Language (conversion or confusing language), try to express it in original Chinese, can increase the age of idioms, proper nouns and long sentences in spoken language with the increase of children's age. This is his most direct and easiest language learning way for him. Once again, it is useful, communication is not one-way, so children must respond. In other words, it is best not to form an exchange mode of "you speak Chinese, he uses English" from the beginning. Some people use "do not understand", or "you must speak Chinese" to force children to respond in Chinese. In fact, I personally think that as long as you are used to train the child to be willing to speak Chinese with you, and does not need to do so deliberately. When he responds to you in English, or confuses the language, just give a pause and give him an expression reminder. These are the three most important points in the conversation. There are also a lot of tricks that require parents to pay attention and gain experience in daily communication. For example, a child's different personality will also affect the way he learns the language. For sensitive and introverted children, although he expresses less, he may listen very seriously, and has high requirements for the accuracy of his own words and grammar. Once he is hit, he may re-enter the language's incubation period and be silence for a while. In this case, the parents will give him more opportunities to prepare, do not force him to say. For a child who is outgoing, parents should give him more opportunities to perform, correct his mistakes and help him improve his oral English. Children are born to be language learners. Give him confidence and let him show that he will surprise you! This tip is a continuation of the first tips. After all, everyday conversations have limited topics and storytelling that cannot give children Chinese input intensively. I believe that parents who tell good stories will be able to give children a good sense of language, expression, imagination and creativity. Adhere to the habit of bedtime stories. From a young age, "telling stories" as a reward means, a family tradition, let the children full of expectations, and cherish every opportunity. Use suspense in the narrative to make the child want to stop. Create a story with your child and encourage him to express and inspire his creativity and imagination. Incorporate knowledge of history, geography, science and technology into your story and cultivate his curiosity. Conversation is one of the most important aspects of the family Chinese environment. Besides, it is what he sees, hears and feels. This includes: books, TV, computers, tablets and mobile phones, and even home decoration, layout and so on. I can say that those children who have numerous Chinese books at home like a library speak very well Chinese. Of course, there are many Chinese books in the family means that parents value Chinese education, so they invest more. The Chinese level of the child is definitely not determined by how much time he spent writing Chinese assignments. It is very important to create a Chinese atmosphere so that children have enough resources to access Chinese. It is also helpful to choose Chinese TV and Chinese app for your child. I don't really encourage children to use the screen, but the effect of boosting interest in culture through television is immediate. If you want your child to improve Chinese happily, this is a worry-free approach. Of course, you'd better select the show. If he likes to read "I am in the Forbidden City," it would be great! Japanese table tennis player Fukuhara loves to train with Chinese coaches and can speak authentic Dongbei dialect. Playing Chinese games (including outdoor sports, chess, cards, etc.) can make children unknowingly like Chinese culture and get close to Chinese, and can also enhance his vocabulary in this area. If you have a Chinese piano teacher or table tennis coach for your child, you can ask him to teach in Chinese. A child's hobby of a thing often motivates him to learn the language associated with the matter. Have you ever heard an example of learning Japanese because you like to watch Japanese manga? As Ma Liping said, teaching children to learn Chinese in North America is difficult. So you really need support. Participate more frequently in the activities of the Chinese community, especially for children's Chinese reading clubs, festival celebrations, and even a common dinner can help. When a group of ABC children play together, some parents will force them to speak Chinese. I don't really support this. Learning Chinese and playing games should be enjoyable. Don't make your children dislike these two things. They speak English together because English is more able to express their thoughts, and this is also a continuation of school habits - our Chinese compatriots meet and rarely speak English. Why do you force your child? Besides, how many people's English is improved by the "English Corner"? They already have such a good resource for the family and don't have to worry about the game time. ABCs are playing together. It is a way to gain a sense of identity. Even if you speak English to each other, it is helpful to learn Chinese in the long run. 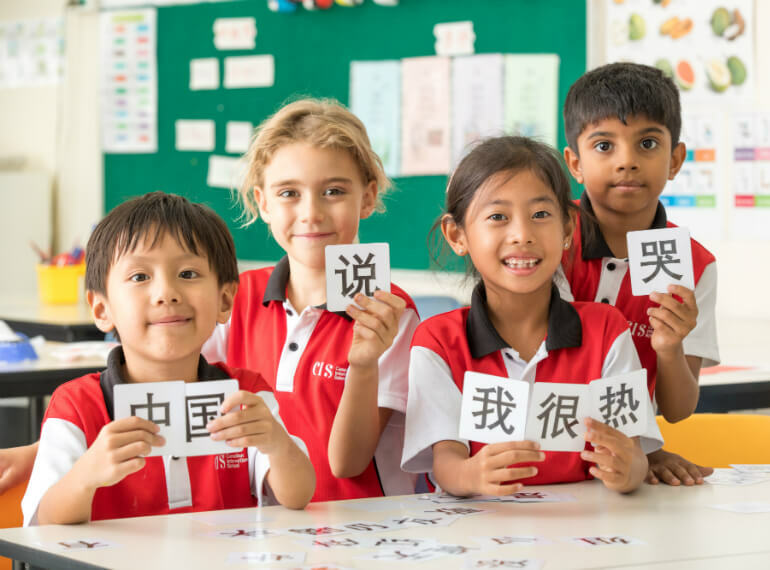 In the United States, the most thorough implementation of Chinese language teaching is immersion school (a school that adopts immersion teaching for language). For this kind of private school that is not everywhere, most people have no conditions. Then consider choosing a Chinese course when you choose a school district, or ask the school district to add this course. More common is to send children to the weekend Chinese school and Chinese after school classes. Schools are a good way for children to systematically and long-termly learn Chinese. They can also make him more sympathetic to the Chinese community, but don't rely on schools. As a parent whose native language is Chinese, you are the best Chinese teacher for your child. The above six, the final principle is one: to give Chinese life. Language is just a symbol of information, not the information itself. Only when this information has enough charm, the child wants to master the language. What kind of information is charm for children? Useful - Give the child enough opportunities to express, use, and give him the task to complete in this language. Let the language between you and your child be full of vitality. Don't turn Chinese into a war between you and your child.